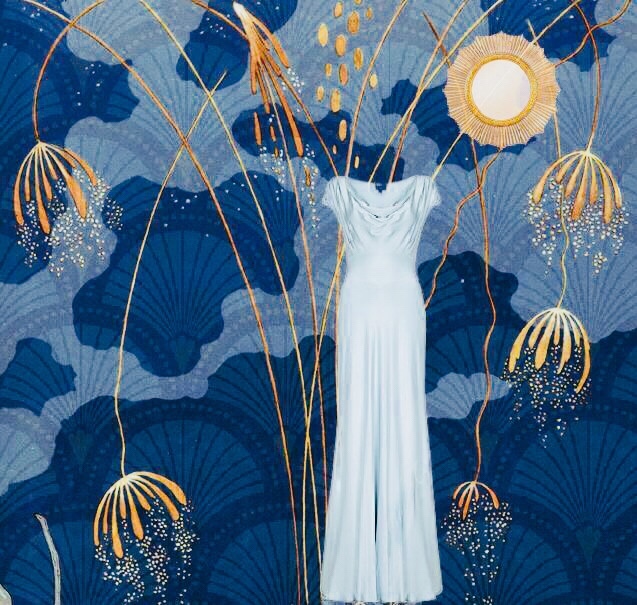 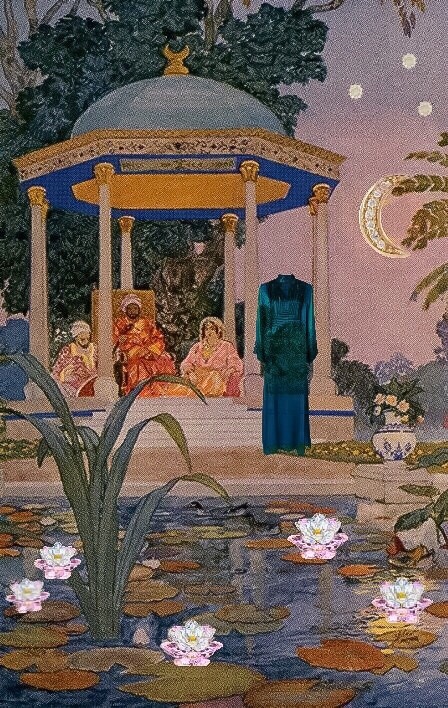 Ghost’s gown, George Barbier’s illustration (“Les fêtes galantes”, 1920s), sun mirror and Doucet sky fabric. 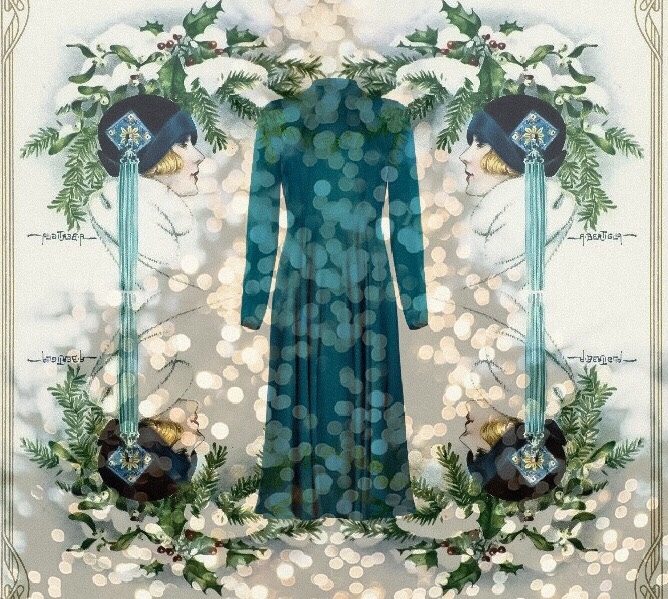 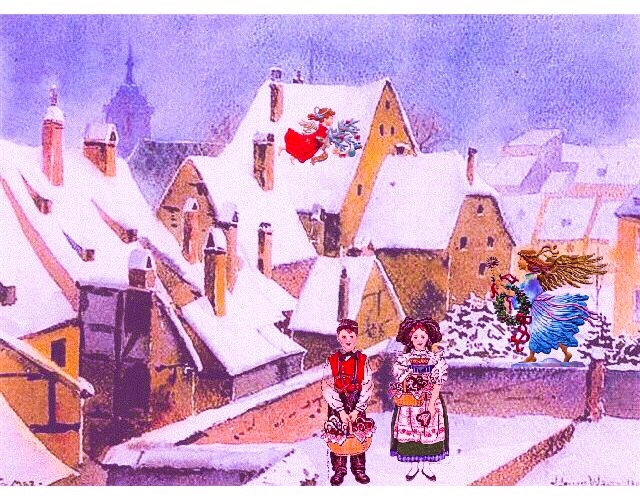 Ghost’s dress and Aurelio Bertiglia’s Christmas postcard. 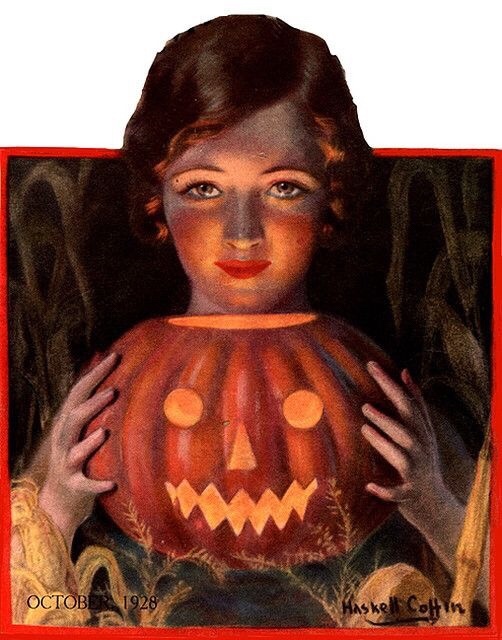 Born in 1891, Aurelio Bertiglia was an Italian illustrator (postcards, commercials…). 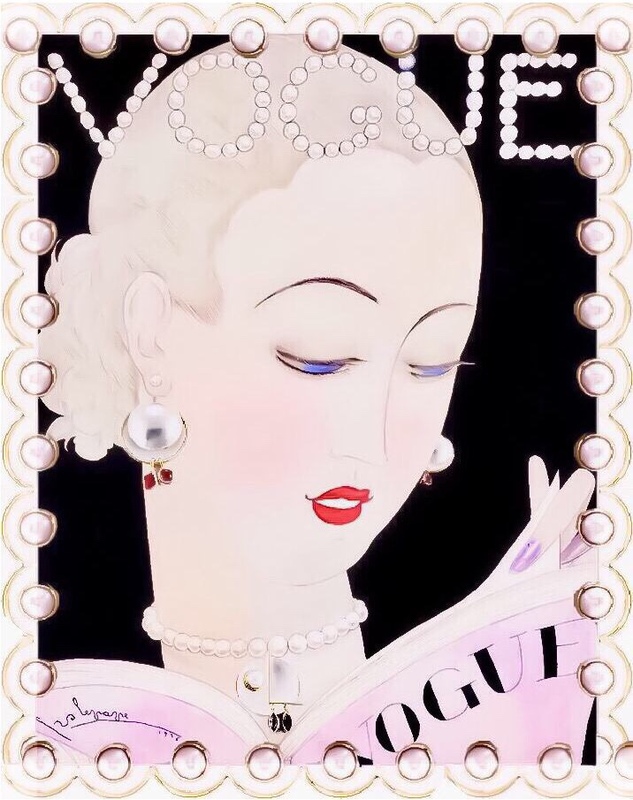 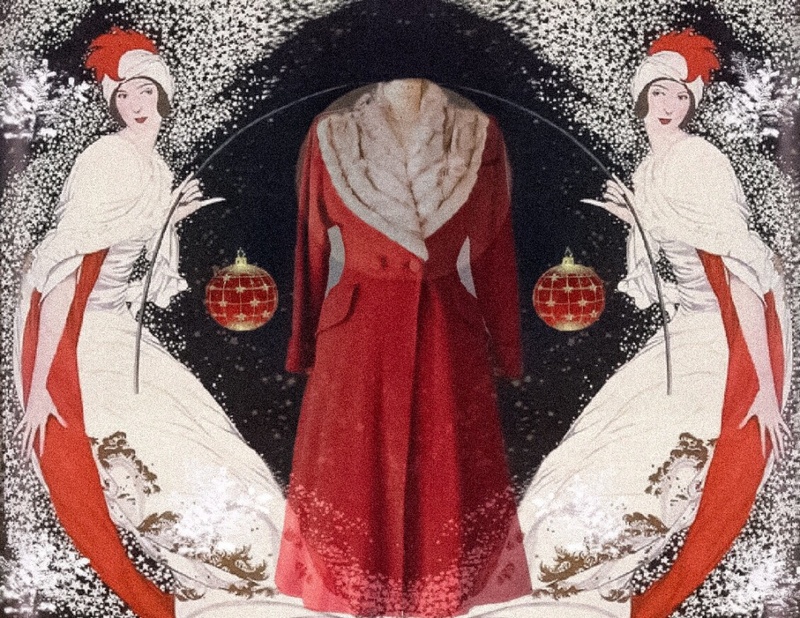 George Wolfe Plank’s illustration (Vogue August 1912), red Christmas ball, photo of snowflakes and vintage coat (1930s).